As a self-taught musician, Kalani Dabin rocks the bass. Born into music, married into music, and creating music ever since, he started his music career as the drummer of a middle school, back-yard garage band. 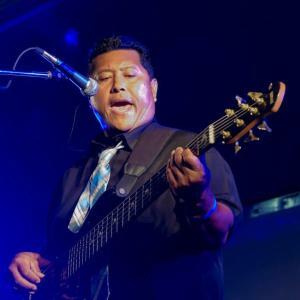 Despite such humble beginnings, Kalani began sneaking into nightclubs at the age of 14 with a guitar on his shoulder and a fake ID in hand to play with local rock bands. 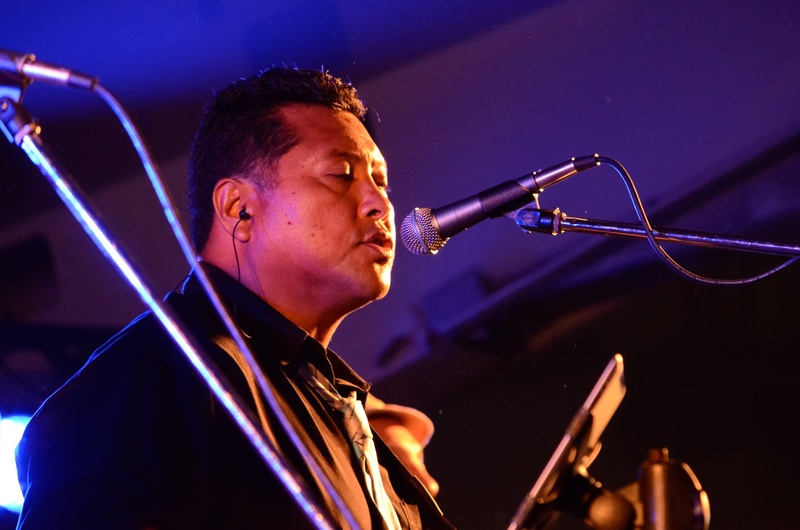 His driving passion for music inspired Kalani to adapt to any instrument he touched and the gigs rolled in. From touring internationally with KALAPANA to studio recordings with Grammy-nominated Michael Ruff and CHICAGO drummer Tris Imboden, Kalani was in high demand. 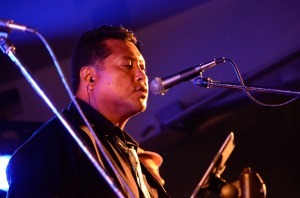 Kalani has played at the Keiki Hula and Merry Monarch Festivals and is a fixture on two major luau shows on the island of Kauai. Unafraid of hard work, Kalani works full time at the Kauai County Department of Water Supply as a heavy equipment operator. Cooking as well as eating is another passion he pursues, with his greatest love next to music being his wife, children, and grandchildren. With so many opportunities to play and bring ALOHA to the hearts and ears of their fans, Greenstone Project wanted a guy to head their show planning. With Kalani’s local and international experience in music performance, they knew they had found him. His extensive experience with gig sets, planning, meetings, and set up provides invaluable insight to the intricacies of event planning for the continued professional success of Greenstone Project. Not to mention he is one hell of a cook.